Making sure your love is with them, even when you can't be. Bright Eyes is a Cheltenham based dog care specialist, experienced with dogs of all breeds, ages and needs. We guarantee your dog’s welfare will be at the heart of everything we do and you’ll be able to see the proof yourself in their eyes! Since we were young, dogs have been our life. The magic of being in a dog's company, watching them fully living in the moment, as only a dog knows how to do, makes for a perfect existence. We have grown up with dogs and owned several breeds, but our knowledge was further developed when in 2013 we traveled around the world for a year, caring for dogs as we went. Once back in the UK, we began looking after dogs regularly and fully realised our affinity with them; understanding their needs and thriving on the feeling of that moment when you and your dog walk in together in a calm, purposeful rhythm. We realised we were positively contributing to their well-being and knew we'd done our job when seeing their bright eyes radiating happiness and the smile on their owners faces when they returned, giving them a secure peace of mind when they left us with their dog. And so, Bright Eyes was born. Our ethos is to provide a safe, loving and happy environment whilst you are away from your dog, whether for a few hours, a day or as long as you need. Rest assured, your dog will have a wonderful time - you can read it in their eyes! When our Westie angel Poppy couldn't stay with family, we would use a dog walker or boarder, but always worried whether she was having a nice time - we couldn't bear the thought of her being sad, even for a second. We often wished she could speak, so we knew she was happy, but over time we realised she already was - in the way she wagged her tail, panted, was more inquisitive and - most of all - she had BRIGHT EYES. 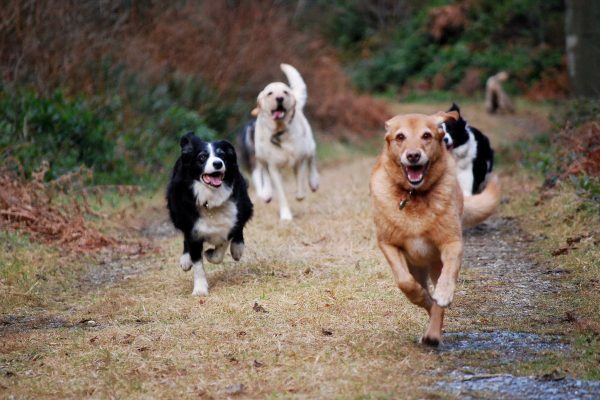 We offer a range of walks to suit every dog’s needs, so whether you have a young one that loves to run, an older one that prefers a slower pace or anything in between, we ensure they will return happy and well exercised. All our walks take place in countryside and nature, both on and off a lead (with your permission of course) and are designed to provide a mix of effective exercise and mental stimulation – in other words plenty of running, playing, sniffing and adventure! We will collect and return your dog to their home and provide all leads, bags etc as part of the service. It’s also no problem if you need to be at work or elsewhere when we arrive, as we securely keep keys for all our owners who prefer that convenience. 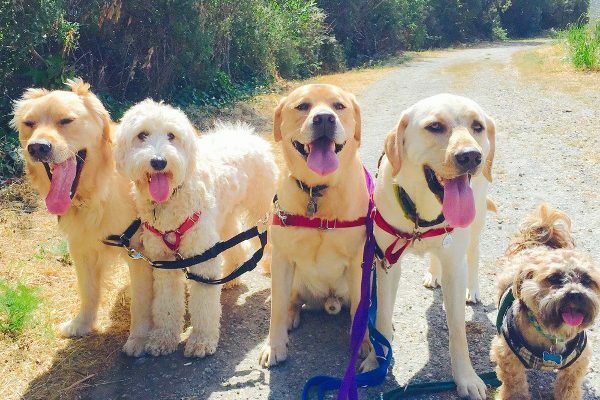 If you’re looking for more than a walk, then Bright Eyes day care is the answer. We collect your dog in the morning ready for a full day of care and adventure with us. Each day includes at least an hour-long walk (unless you prefer less) in local countryside, then all the socialising, playtime with us and our dog toys, naps and cuddles they could possibly want. In the evening we will return your happy, well-exercised – and clean! – dog to their home for you to see yourself their bright eyes! If you’re going away overnight or on holiday for a few weeks, we can look after your dog in our home for their very own doggy vacation. Our home boarding service includes collection and return to your home, a good hour-long walk each day, all the play, cuddles and attention they need, feeding according to their routine and at the end of every fun day, a comfy sleep in our home like they would in their own (we never use kennels or crates for any of our ‘guests’). We are very happy to use your dog’s own bedding if you’d prefer them to have some home-comforts but we provide all leads, bedding, bowls as part of the service. 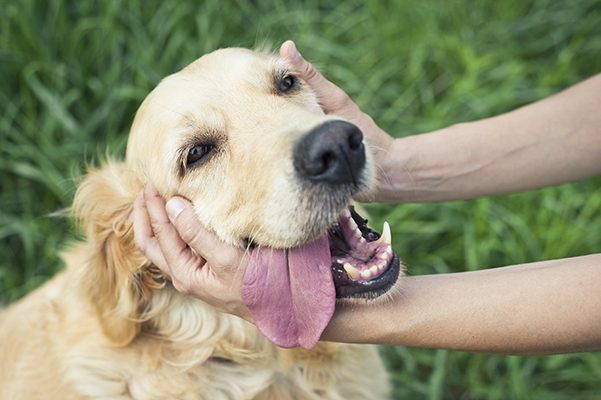 For every second your dog is with us, they will be surrounded by love, fun and care. Here are some of the things that make those Bright Eyes! Lots of walks in the countryside full of sniffs and adventure. All the play they want with dogs and humans! Cuddles, tickles and all the affection they need. Bums to sniff and friends to make! How many dogs do you take? We take up to five dogs at any one time. We like to keep our numbers low so we can be attentive to all dogs in our care. In the countryside surrounding Cheltenham. We vary our walks as we feel It is important dogs experience new areas, smells and activities because, just like humans, they can become bored and disengaged with a continuously repeated walk. What kind of dogs do you take? All breeds, sizes and needs. We will get to know your dog's personality and be able to match their needs to the type of walk they take. Some breeds require long distance walking, others desire more interactive play, some paddle and other just love to have a good sniff! Older dogs can have weaker joints, so need a walk with a flatter surface. I have a nervous dog, how will you manage this? No need to worry about them - we can ensure you this will not prevent your dog from having a wonderful time. 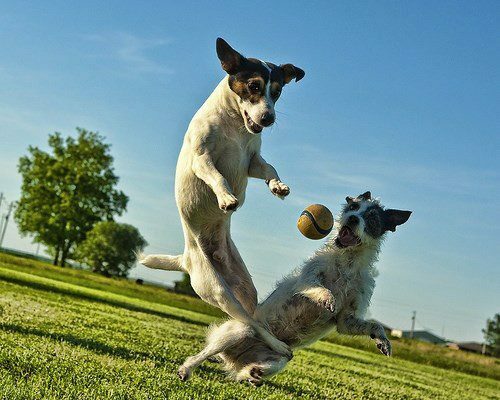 The great thing about dogs is that they live in the moment, so we will be able to build up their confidence the more they interact with new sights, smells and friends. Every dog is individual and requires an individual approach. When we first meet them we will be able to access their requirements. Again, anything that you personally require, we will happily accommodate. Do you pick up? Do I need to be at home when you do? We will pick up your dog from their home and drop them back afterwards. It is up to you whether you are in or out, if you wish, you can leave a key with us that will be kept securely on our premises. We recommend first arranging a trial day to ensure your dog fits in, which gives us the time to get to know them and their personality. If you have a nervous dog, or have concerns yourself, we're very happy to first meet you and your dog either in your home or ours. How do you get to know my dog? We're very experienced in quickly building a rapport with all the dogs we meet, once they are comfortable with us, we spend time learning about their individual personality. To help us with this We like to know details such as their favourite toys, tickles games and treats. Do you cater for special needs? Yes. Nothing is too much trouble for your dog. We have cared for young, old, those with social difficulties, physical aliments and puppies. All will be safe, happy and cared for. If it is a walk then nothing at all, as we provide the leads, doggy bags etc. For Day Care/Boarding if you would like to provide treats, toys, basket, you can do, but this is not essential as we will have everything ready for their stay. Do you ever use crates or cages? NO. NEVER. We do not agree with this practice, your dog will be free to roam at all times and will never be left alone. Yes, we are fully insured for every eventuality. Bright Eyes Dog Care is at Lineover Wood. Bright Eyes Dog Care is at Cleeve Hill. Our little rescue dog George was super nervous when we first got him but after his first visit to Bright Eyes he would dance with delight every time Chris came to pick him up. As an overly anxious dog mum it's really helped me too knowing he is with people who genuinely love dogs and who understand his quirks and needs. I am so pleased to have found Chris and Becs. Nellie absolutely loves being with them and has such a wonderful time.